On this day 24 years ago I was camped by the Takhini River in the Yukon Territory. 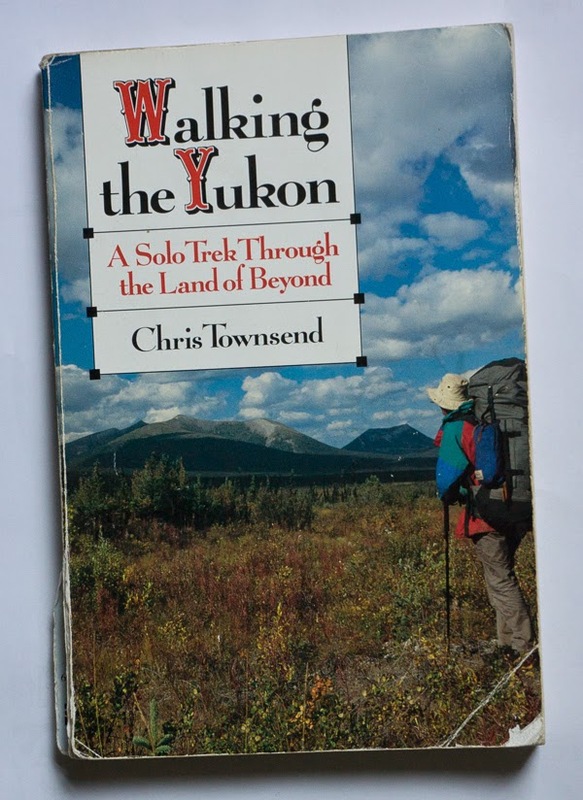 I was two weeks into my 1000 mile walk south-north through this vast wild land, a walk I described in my book Walking the Yukon. The Yukon is one of the remotest and wildest places I've ever been. I met very few other walkers and sometimes went a week and more without seeing another human being or even signs of one. This is real wilderness. As well as magnificent mountains, rivers and forests I saw wolves, bears, moose, eagles and more. Towards the end of my walk I was in the Peel River Watershed, just north of the tremendous Tombstone Mountains, which I have since revisited on a ski tour. The Peel Watershed is now under threat of industrialisation for coal, oil and gas. This would an appalling destruction of a pristine wilderness. There is a campaign against this that all lovers of wilderness and nature should support. You can sign a petition here. Your book got me to the Yukon myself to take a look, I was not disappointed. I was struck by the tension too there between it's wilderness and the desire to exploit its natural resources, but I guess that's always been in the land of the Klondike gold rush. I'm afraid for the Territory consequently, I think this Canadian government is fairly rapacious when it comes to development, look at Alberta and Tar Sands.